1. 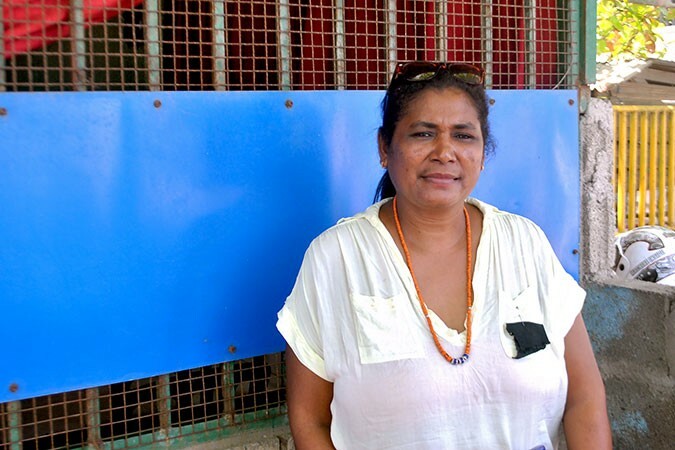 Barbara Garma Soares, and the other 20 women elected Xefe Suku or Village Chief in Timor-Leste, a country in Southeast Asia. The country saw double the number of women elected to this office in 2016. Most of the population lives in rural areas, often quite isolated, and many (like Soares) had never elected a woman to lead their community. Indeed, her election was preceded by an amendment in electoral law that required a female candidate on the ballot for the first time. 2. Mehrezia Maiza Labidi, who helped draft the Constitution in Tunisia. Labidi chaired most of the sessions on Tunisia’s new constitution, established after the Arab Spring, and pushed for a clause guaranteeing women’s rights. She also was the most senior elected woman in the Middle East. 3. Coumba Diaw, who decided to join politics after leaving school at 14 to marry and become a housewife. Diaw started as a health care worker, working on reproductive health and helping with income-generating activities in her community. She began to grow close with the community and became the Mayor of Sagatta Djoloff – and is the only mayor in Louga, Senegal who is female. These are just a couple of the remarkable stories, and I encourage you to read the article (and the “From Where I Stand” series by UN Women: http://www.unwomen.org/en/news/editorial-series/from-where-i-stand). For me, they serve as a reminder that across the globe, democracy and the drive to improve our communities is propelling unlikely candidates into the world of politics. And those candidates are stepping up to the plate, filling in gaps, and leading their citizens towards positive change. Who among our Impact Network students will become the next hero for Joel village?